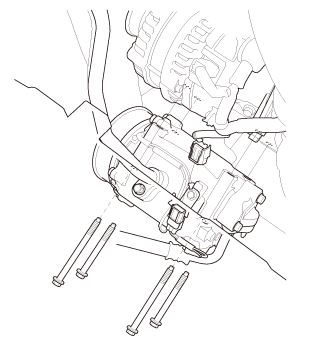 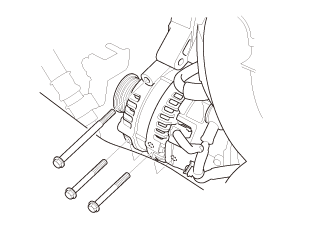 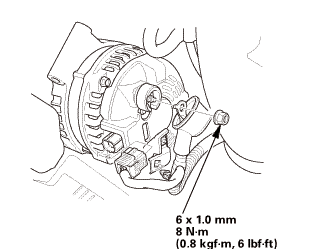 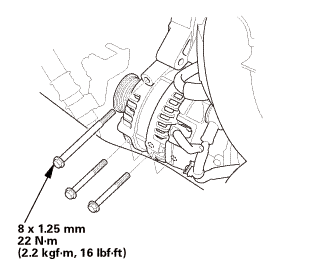 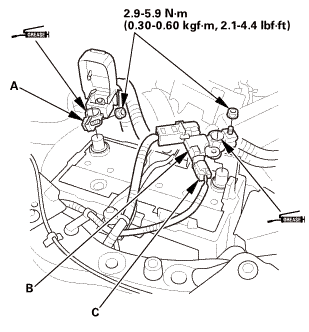 Remove the three bolts securing the alternator. 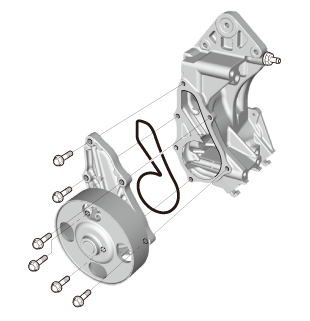 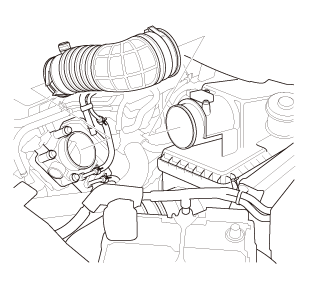 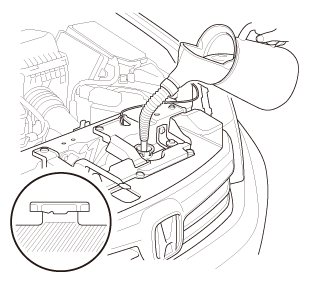 Remove the A/C compressor without disconnecting the A/C hoses. 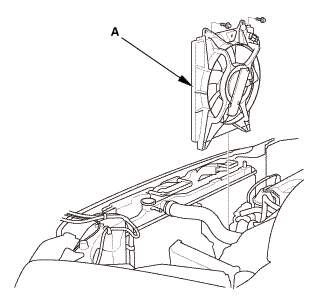 Do not bend the A/C hoses excessively. 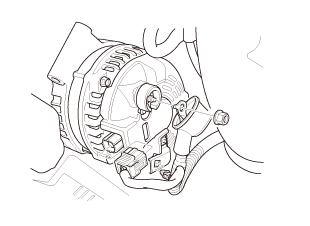 NOTE: Hang the A/C compressor with a wire tie. 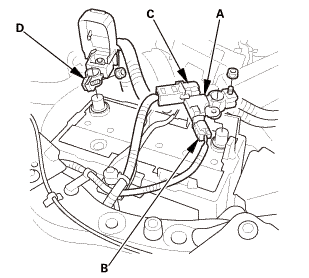 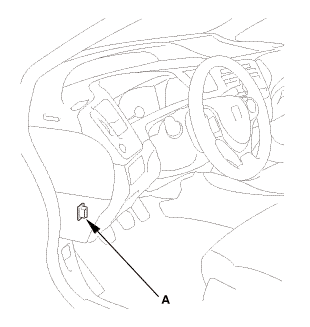 Disconnect the heater hose (A) and the water bypass hose (B). 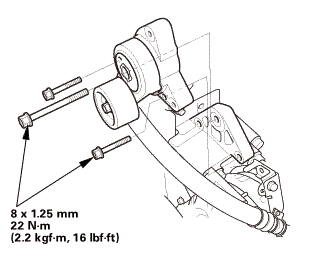 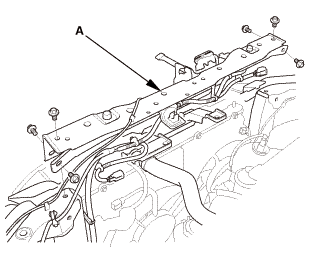 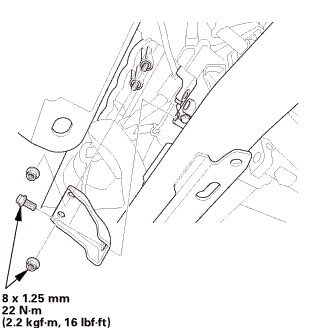 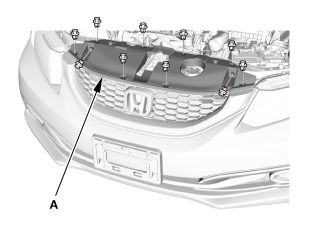 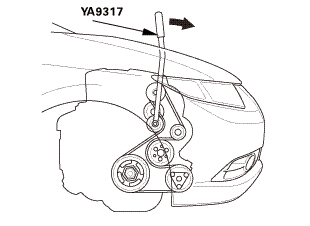 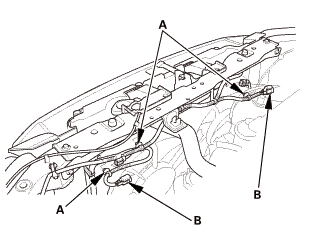 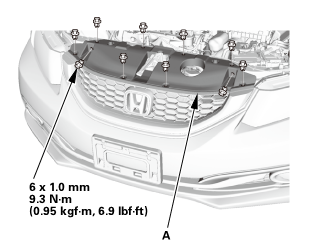 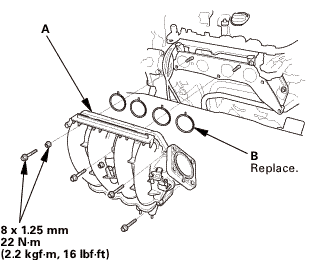 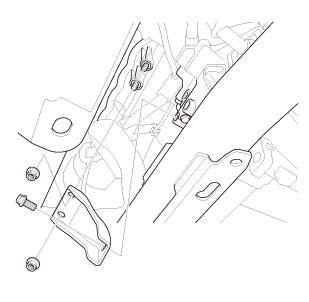 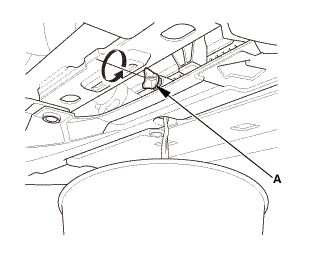 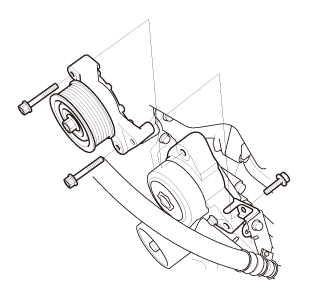 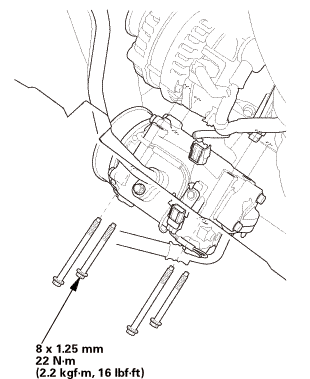 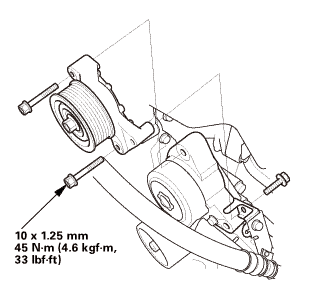 Remove the harness clamp (C) and the connecting pipe mounting bolt (D). 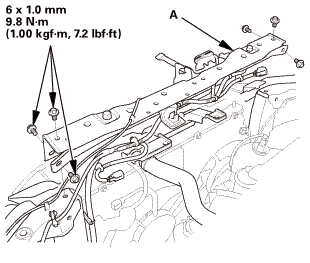 Remove the harness clamps (A) and the connecting pipe (B). 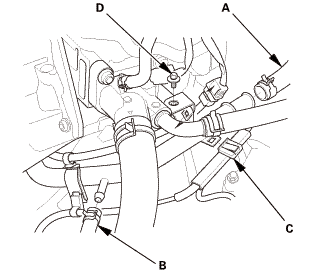 Disconnect the PCV hose (A) and water bypass hose (B). 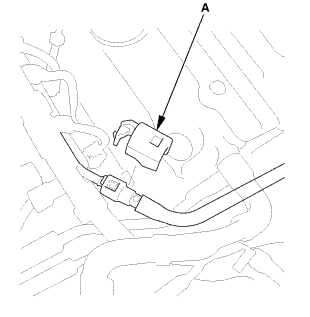 Remove the water passage (C). 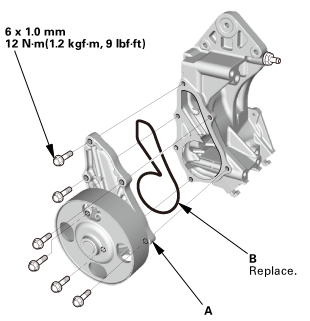 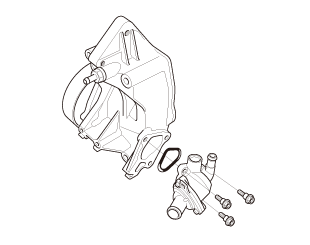 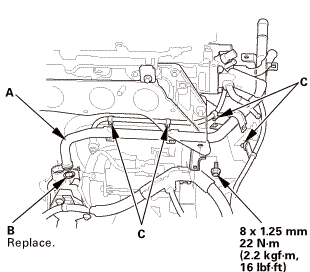 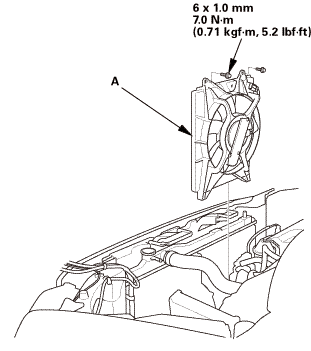 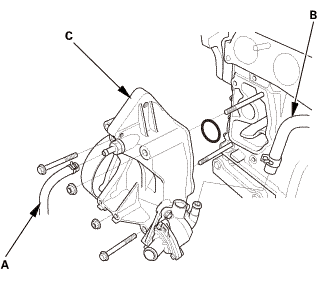 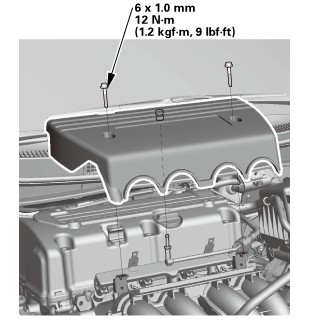 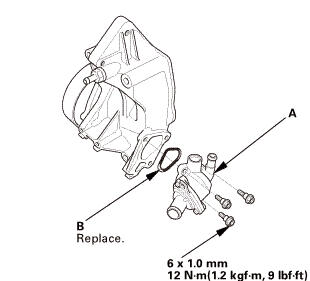 Install the thermostat housing (A) with a new O-ring (B). 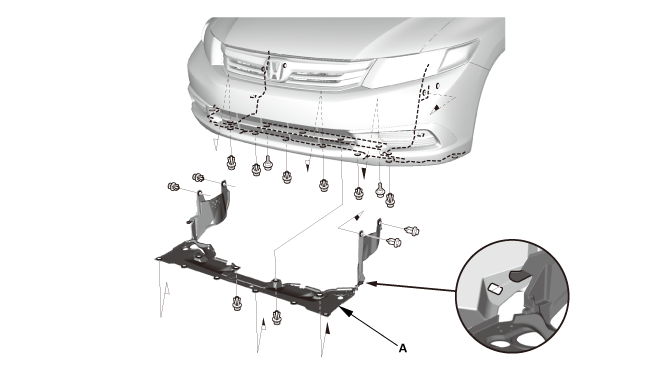 Clean and dry the water passage mating surfaces. 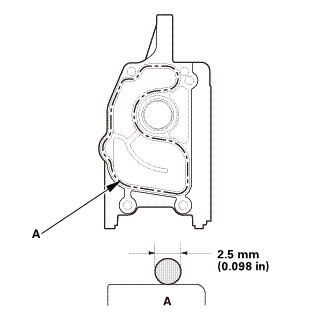 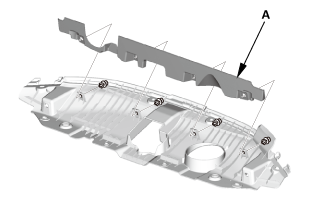 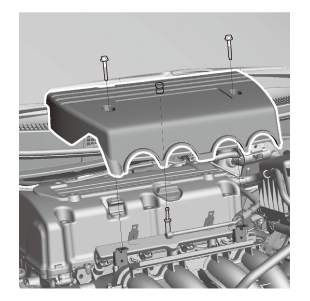 Apply liquid gasket (P/N 08718-0004 or 08718-0009) to the engine block mating surface of the water passage, and to the inside edge of the threaded bolt holes. 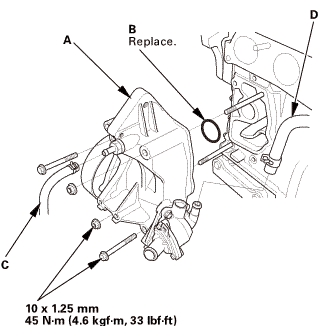 Install the component within 5 minutes of applying the liquid gasket. 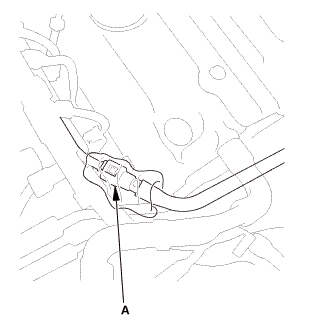 Install the water passage (A) with a new O-ring (B). 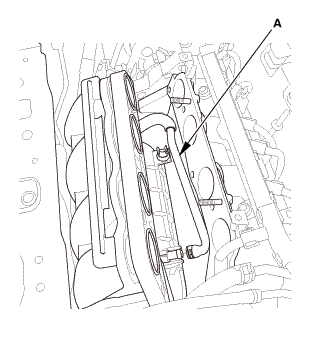 Wait at least 30 minutes before filling the engine with coolant. 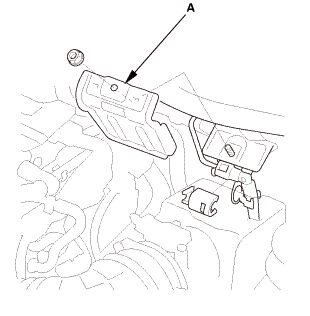 Do not run the engine for at least 3 hours after installing the water passage. 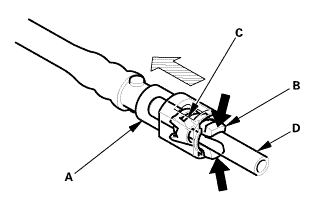 Connect the PCV hose (C) and the water bypass hose (D). 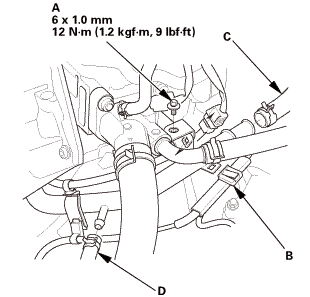 Install the connecting pipe (A) with a new O-ring (B). 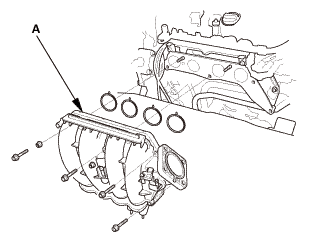 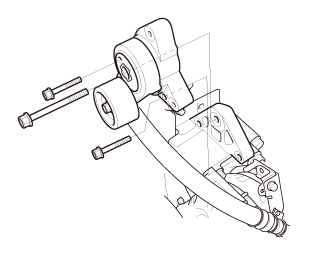 Install the connecting pipe mounting bolt (A) and the harness clamp (B). 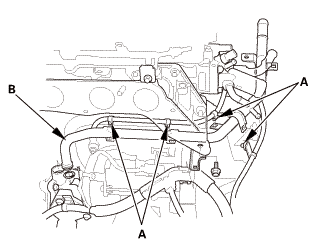 Connect the heater hose (C) and the water bypass hose (D). Connect the connector and the cable.